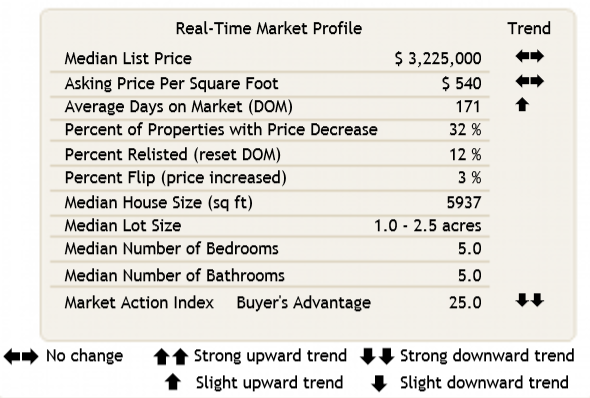 Rancho Santa Fe Inventory and Days on Market are Both Trending Higher But so is Demand! The median list price in Rancho Santa Fe, CA 92067 is $3,225,000. 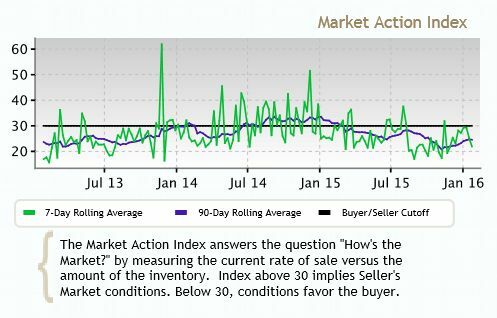 Inventory and days on market are both trending higher recently. However, the improving Market Action Index (MAI) implies some increased demand for the Rancho Santa Fe real estate market. The MAI has been trending lower for several weeks while prices have remained relatively stable. 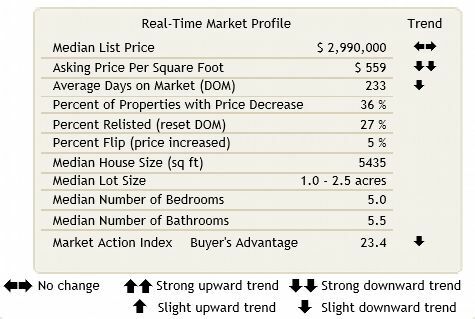 If Rancho Santa Fe inventory continues to grow relative to demand however, it is likely we will see downward pressure on pricing. 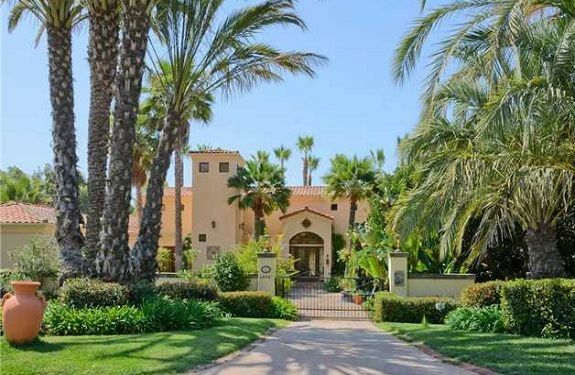 Demand for Rancho Santa Fe Real Estate is Increasing! The median list price in Rancho Santa Fe, CA 92067 is $3,425,000. 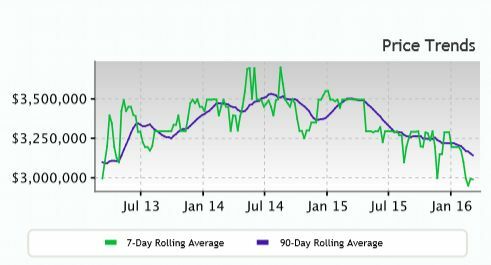 Demand measured by the Market Action Index (MAI) is increasing and days-on-market is trending downward. 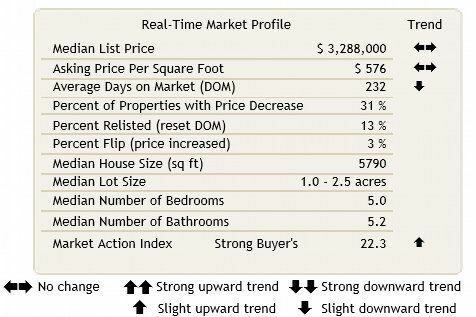 Even as more properties come available, these are positive trends for the Rancho Santa Fe real estate market. The median sales price for homes in Rancho Santa Fe CA for Feb 15 to May 15 was $2,647,500. This represents an increase of 21.7%, or $472,500, compared to the prior quarter and an increase of 29.1% compared to the prior year. 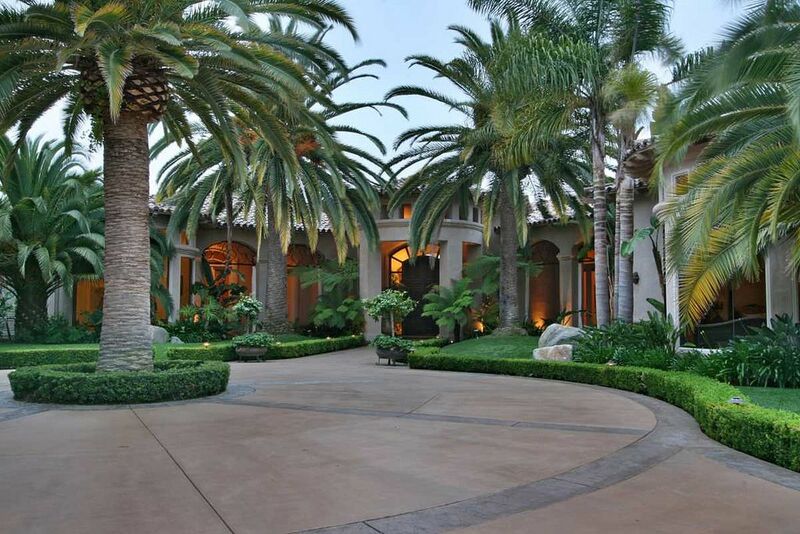 Sales prices have appreciated 76.5% over the last 5 years in Rancho Santa Fe. 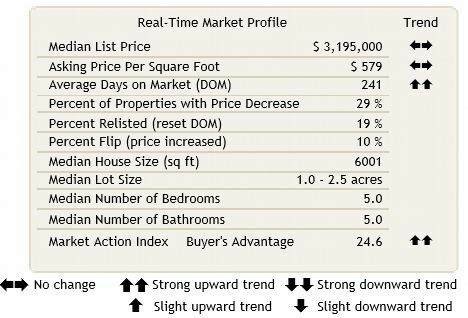 The average listing price for Rancho Santa Fe homes for sale was $4,330,153 for the week ending May 13, which represents an increase of 5%, or $207,309, compared to the prior week and an increase of 1.7%, or $72,464, compared to the week ending Apr 22. 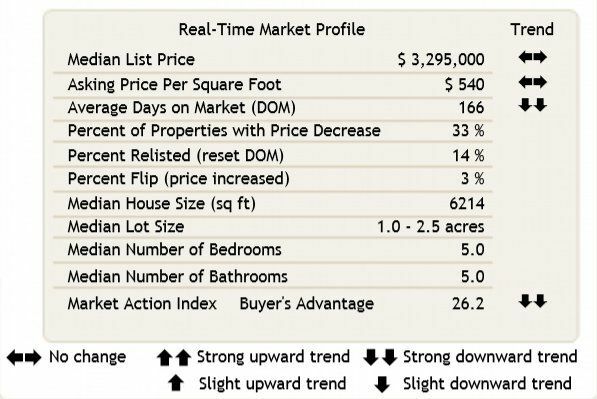 Average price per square foot for Rancho Santa Fe CA was $514, a decrease of 9.7% compared to the same period last year.